The popular computer brand Hewlett-Packard (HP) confirmed its first android product and tablet named HP Slate 7. The tablet has 7 inch LCD display with 1024x600 pixels resolution and it runs on Android 4.1 Jelly Bean operating system. HP Slate 7 is powered by 1.6 GHz ARM Cortex-A9 processor and it has 1 GB of RAM. It comes with 8 GB internal storage and you can extend the memory via microSD. The tablet has 3 MP rear camera and VGA front facing web camera support. The connectivity features are Bluetooth and Wi-Fi only. This tablet has not 3G support and Sim card facilities. There is also some extra features are Beats Audio and EPrint. Beats Audio provides extra Oomph sound with the two set of stereo speakers. EPrint lets you to print documents from your device to any compatible HP printers. 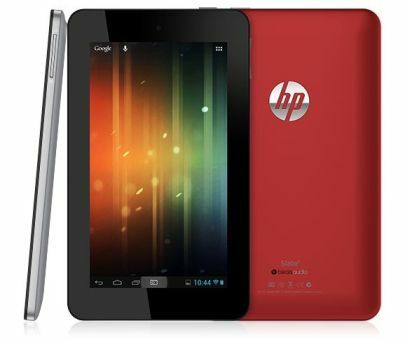 HP Slate 7 is the low cost tablet compared to other brand tablets, it is priced only $169. It will be launched and available from this April, 2013.